Are you looking for a job? Do you have a criminal record? If you answered "yes" to both these questions, then please join us for the Reentry Resource Fair, which will take place this Friday, October 27, from 11:00 a.m. to 3:00 p.m. at Southwest CDC, 6328 Paschall Avenue, in Southwest Philadelphia. A general resource fair comprised of 16+ organizations providing information on securing employment, training opportunities, benefits enrollment, adult basic education and ESL instruction, and going back to school to earn a degree. A legal clinic run by Community Legal Services, at which attendees can learn more about expungement, sealings, and pardons. The first 100 attendees will receive a FREE personal care bag! Street parking with no time limit is available on the blocks all around Southwest CDC. The location is also accessible via public transit (Trolley lines 11 or 36 or the G bus). 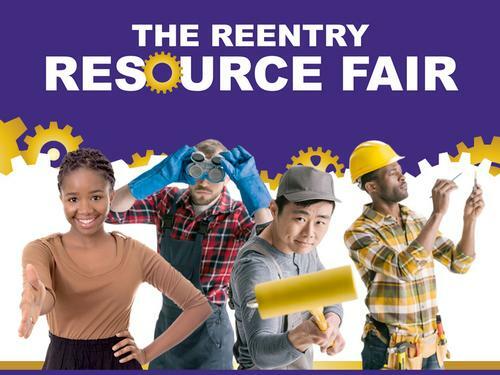 The Reentry Resource Fair is being organized by the Paschalville Partnership, a Free Library-led collaboration of 11 organizations working to transform services for job seekers in Southwest Philadelphia. The partnership provides free computer and internet access and one-on-one assistance to job seekers at two Job Readiness Labs: Paschalville Library and Southwest CDC. Additionally, the partnership connects job seekers with deeper services, including skills training, adult basic education, ESL instruction, and financial counseling. This program is made possible in part by the Institute of Museum and Library Services. The Reentry Resource Fair, which will take place this Friday, October 27, from 11:00 a.m. to 3:00 p.m. at Southwest CDC, 6328 Paschall Avenue, in Southwest Philadelphia.